In case you missed it back in 2006--when they were the first band in 30 years (!) to sign to Trojan Records--Pama International has reissued the nothing-short-of-amazing Trojan Sessions LP, as well as the (mostly) new Trojan Sessions in Dub, a track-for-track companion album with dubs by Nick Manasseh, who co-produced the original Trojan Sessions with Sean Flowerdew (Heavyweight red and black vinyl LPs/CDs, Happy People Records, 2017 and 2018). Trojan Sessions features a mind-blowing roster of guest artists, including the late Rico Rodriguez, Dennis Alcapone, Dawn Penn, Dave and Ansel Collins, Derrick Morgan, and Winston Francis (and at this point Pama International included Specials Lynval Golding on guitar, and Horace Panter on bass) on a boss collection of original material. Between the host of 1960s JA superstars and various musical styles of these tracks, this record brilliantly honors the history and spirit of Trojan (and its artists), as well as serves as a primer of sorts of Jamaican music, circa 1965-1972. I love the album start to finish, but several highlights include Rico on The Skatalites'-sounding "Disobedient Children"; the early "Liquidator" reggae "Neither High Nor Dry" with Dennis Alcapone; a sublime Dawn Penn on the dubby "Betterment Blues"; Dave and Ansel Collins make it sound like '69 on "It Ain't Funny"; Pama's singer Finny shines on the funky reggae "I Got So Much to Shout About" and rootsier "One Step"; and Winston Francis on the rock-solid rocksteady "Fisherman" (which has echoes of "You're Wondering Now" lurking within). Once you're familiar with the tunes onTrojan Sessions, listening to how they're deconstructed and reassembled by Manasseh on Trojan Sessions in Dub is a real pleasure. "Disobedient Dub" in particular is stellar (love all the outer space effects, use of Rico's voice, and placement of sounds within the mix to create all sorts of aural distance), with "One Step Dub" and "Fisherman Dub" hot on its tail. 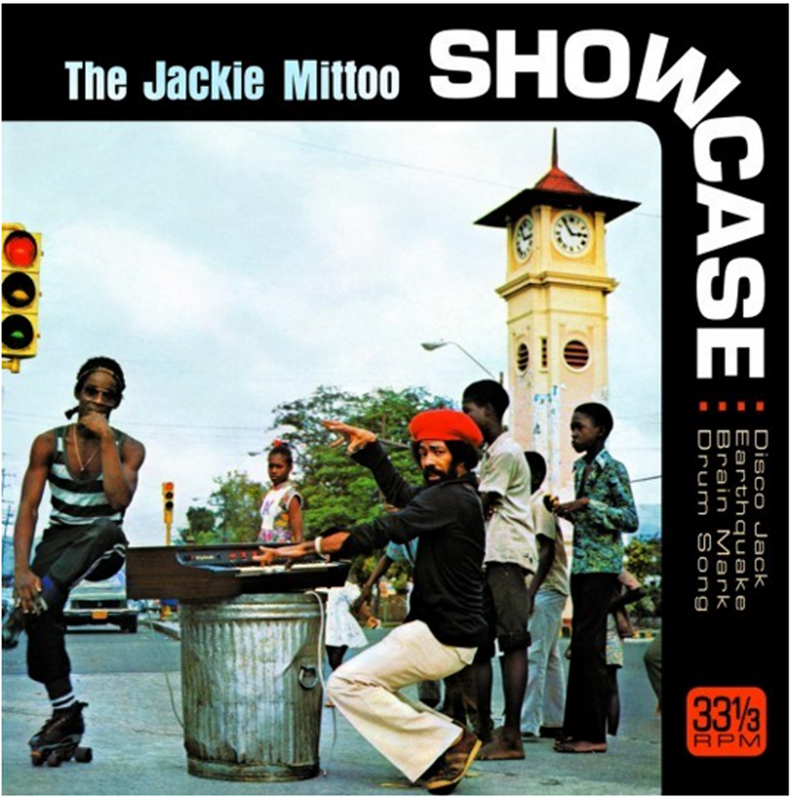 I don't know why it was so hard to obtain (I finally ordered it directly from VP Records after two failed attempts elsewhere), but The Jackie Mittoo Showcase EP (Black vinyl picture sleeve single, 17 North Parade/VP Records, 2018) was completely worth the wait and effort. 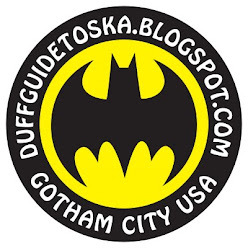 Essentially, this four-track release presents some of the greatest tracks off last year's excellent double-CD Striker Showcase (which The Duff Guide to Ska reviewed here). These 1977-1978 cuts are prime, moody rocksteady/reggae Mittoo material (with his phenomenal soulful/jazzy Hammond keyboard lines floating above it all) from three essential albums co-produced by Bunny "Striker" Lee: "Disco Jack" and "Brain Mark" are off Hot Blood; "Earthquake" is from In Cold Blood; while "Drum Song" is on the original Showcase album. 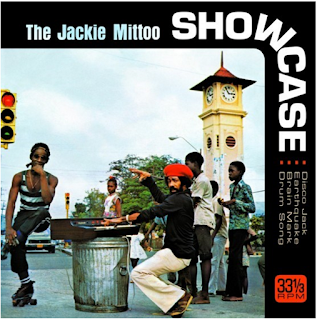 One can't have enough Jackie Mittoo in their collection.